While we share the most popular Tev-Tropin side effects, we do it in an effort to educate consumers and patients, not to scare them. It is wise to know all the facts about a medication that you take just in case you feel something that might not seem right when you take the injection. Never allow any of the above mentioned Tev-Tropin side effects to go on any longer than it takes to make a phone call to your advisor to share what is happening. A side effect that seems minimal could get worse with time or with further use of the medication. If you allow it to continue, it could lead to other more serious problems. Avoid this from occurring by contacting us immediately. Our advisors are in direct communication with our doctors and therefore, there can be a quick change made in a dosage of medication. The doctor should be the only one to tell you what to do if a problem occurs; unless you need to visit your local emergency room. Yes, side effects of Tev-Tropin are rare, but they should be taken seriously if they do occur. The first piece of advice that anyone should give a patient of hormone replacement therapy is to only work with a reputable clinic that offers testing, real 100 percent pure medications and medical supervision. 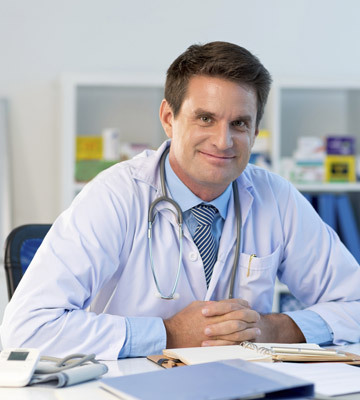 HRT should never be done without being under the care of a fully trained and licensed physician; the same one who diagnosed you and prescribed your medication for you. In addition, you should always work closely with your clinical advisor. This means, calling in frequently to share your experience, your results and any Tev-Tropin side effects that may occur. Make sure you look at your medication vials before using them. They should contain clear liquid. The solution should never look murky or cloudy. Never use a medication if it looks like the vial has been tampered with or opened. Never work with an unqualified human growth hormone clinic. Never buy medications from personal trainers, gym goers, from overseas or from anyone not licensed in the field of endocrinology (or a closely related medical field). Always make sure that the clinic you choose mandates testing with blood work and a physical exam. Understand the importance of following your prescription exactly as written and not deviating from your treatment plan without consulting your doctor first. If you have questions about what you are experiencing while taking your medication or what to do with your medication, ask us. We are here to make sure that your HRT journey is a great one that is free of side effect from Tev-Tropin.